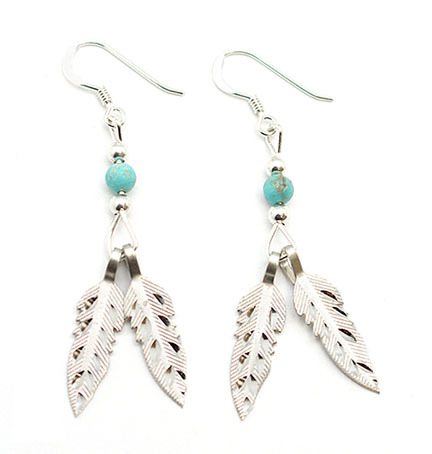 Sterling silver, 2 diamond cut feathers with a chinese turquoise 4mm round bead. It measure approximately 2" long including sterling silver french wires by 3/8' wide at widest. It is Navajo hand crafted by Sandra Francisco. Color shade of turquoise bead may vary.